The Committee noted Prof. Rassier’s strong performance across a range of organizational leadership issues. 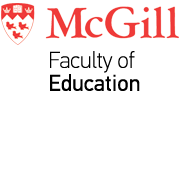 Under his leadership, the Faculty of Education maintained its focus on ensuring a commitment to excellence and leading-edge research, a learning environment, and a sense of public purpose that promotes partnership and engagement within McGill and beyond. Prof. Rassier is a Professor in the Department of Kinesiology and Physical Education, and an Associate Member in the Departments of Physiology (Medicine) and Physics (Science) and in the Meakins-Christie Laboratories. He holds a Canada Research Chair in Muscle Biophysics (Tier 1). Prof. Rassier’s scholarly work focuses on muscle physiology and biophysics, with a special interest in the molecular aspects of muscle contraction in health and disease. Prior to becoming Dean, he served the Faculty of Education for three years as Associate Dean, Research and Graduate Studies.